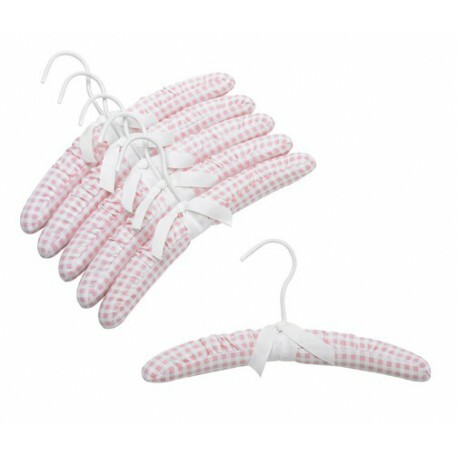 These pink & white fabric covered hangers are just the right size for your little one's delicate garments. 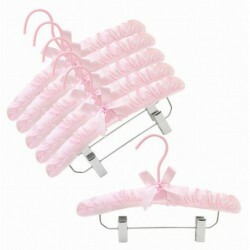 The soft padding as well as the vinyl covered hook protects childrens clothes from snags and tears. 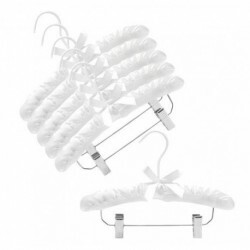 Please also take a look at our matching closet storage accessories in pink and white lattice to compliment these beautiful childrens hangers.